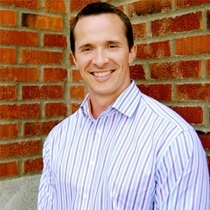 Families, athletes, auto and work accident victims, and the unexpectedly injured turn to SoundCare Chiropractic, Dr. Ryan Smith's Seattle-based practice. At SoundCare Chiropractic, Dr. Smith wants to understand each patient's condition in order to best determine what it will take to eliminate pain and improve the quality of that person's life. Moreover, once the disorder is addressed, he and his staff seek to prevent the issue from recurring in the future. "Helping people feel better and staying well is a great job to have," says Dr. Smith, who offers his knowledge and genuine empathy in addition to strong attention to detail when working with a patient. He understands that choosing a chiropractor in any major city can be a difficult task to take on, and says that he and his staff aim to take the hassle out of the decision making processes by delivering consistently high quality care.